Like Meeti, Christelle Chapoy Dani, a working mother of two, who also tapped Sakha for a woman chauffeur, hasn’t looked back since Anita entered her life. “She’s gentle, less aggressive than male drivers and has developed an emotional attachment with the kids,” says Christelle. Before Anita, Christelle had, for over a year employed Chandni, a 20-year-old who now drives commercial vehicles. Many women drivers have braved dissent at home. Families have to be assured by employers. These aren’t stray cases. Single women, families with young children and senior citizens are warming to the benefits of having women behind the wheel as chauffeurs and taxi drivers; and agencies like Sakha, Forshe-Orix, Priyadarshini, Avis and Viira are mobilising women from low-income households to cater to their needs. Sakha has so far enrolled 80 women into its programme; Forshe-Orix has 20 women on the road in Delhi and 24 in Mumbai, and now plans to extend its services to Calcutta. Viira, a Mumbai motor driving school and taxi service for women that enjoys financial support from an unlikely suspect, Raj Thackeray (he announced last year that he would put an army of women drivers on the road), currently has seven women behind the wheel, 20 more undergoing training, and another 20 newbies on its rolls. 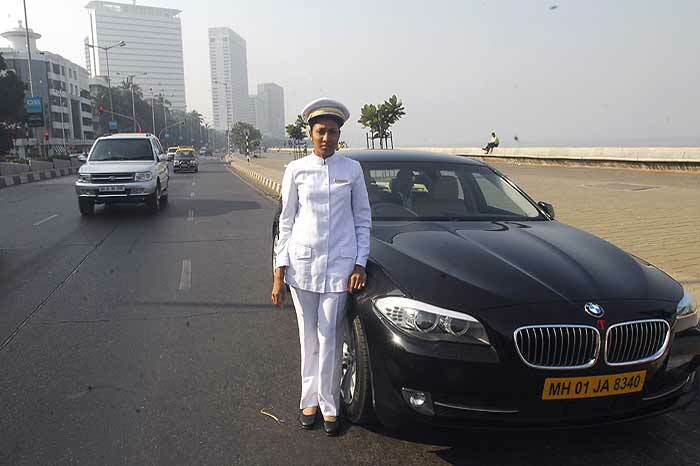 And thanks to a recent initiative by luxury car rental service Avis India, not only are women guests at a premier Mumbai hotel ferried by female chauffeurs, but in BMW 7 series cars, no less. 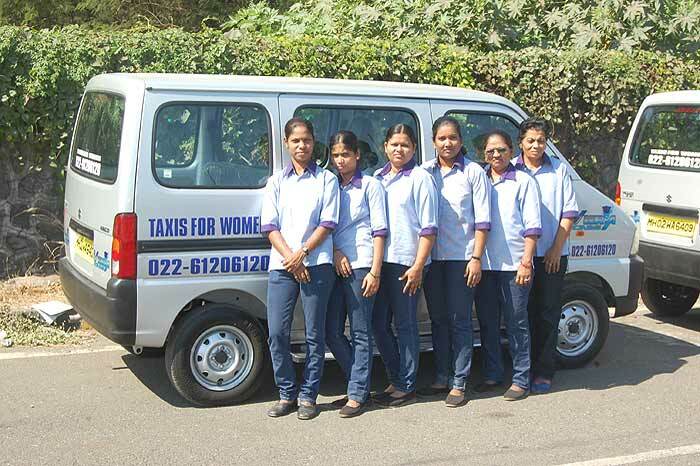 NGOs helping women become chauffeurs couldn’t be more pleased. “These women are in a short while able to become the main bread winners, their monthly incomes having zoomed from Rs 3,000-3,500 to Rs 5,000-10,000. This takes them above the poverty line and changes the dynamics at home,” says Shrinivas Rao of Azad Foundation, which trains women in Delhi as personal and commercial drivers. Often, the women have studied up to Std VIII or X, and are housewives, or have worked before as domestic helps and caregivers. Their husbands have jobs ranging from raddiwallah to daily wage labourer and driver. Many women make it for training only after braving dissent at home. “We often have to visit families and reassure them that all will be well,” says Preeti Sharma Menon of Viira Cabs. 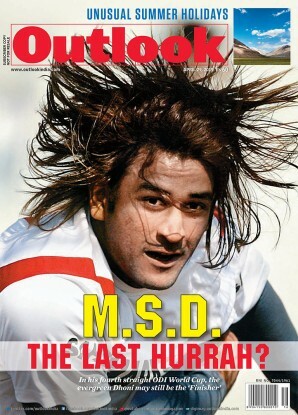 The clincher, usually, is that the woman’s earnings will soar once she becomes a driver. Not every woman can become a chauffeur, though, trainers are quick to point out. “We look for women with a strong will to do something different. 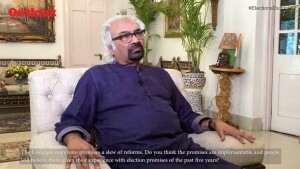 After all, most of them have never even sat in a car,” says Nayantara Janardhan of Sakha. The training, depending on how quickly a woman takes to it, can last from four months to two years, and involves driving a variety of cars, from the humble Maruti 800 to the Honda City, lessons on road safety, self-defence, verbal communication, sexual health, women’s rights, motor mechanics, health and hygiene, and reading road maps. There are also tips on dealing with road rage and avoiding conflicts on the road. Though some lady drivers face hostile male colleagues, over time they pick up tips from the men. Avis’s team of women drivers work 12-hour shifts, like their male colleagues, albeit with a separate room equipped with bunk beds for night-duty shifts. Their basic salary is Rs 15,000, with tips ranging from Rs 500-1000 per month. Besides Judie, the other four, Anahita, Shagufta, Urmila and Nazneen, who all speak fluent English, have all worked for Forshe, the first ladies’ cab service in Mumbai. “This job is far better and other drivers give us respect because we are driving BMWs,” says Shagufta, who says she is by now immune to the looks she gets on the road. And yet, admit some, over time they find themselves picking useful tricks of the trade from male colleagues. The woman chauffeurs driving BMWs, for instance, are learning how to earn shopping commissions. The women at Forshe spend their spare time swapping shortcut routes with male colleagues. “The trick is to learn short-cuts to avoid jams,” says Satyavati Kashyap, a driver with Forshe. At Sakha’s office in south Delhi, nervousness turns to laughter as a group of 10-odd women, in their 20s and 30s, ease into their first training lesson. A striking similarity in their appearances is hard to miss: kohl-lined eyes, coloured lips, flashy earrings, bright synthetic dupattas draped coyly over their heads. Compare them to 33-year-old Shanno Begum, a former cook, who did the same course and has been in the driver’s seat for two years. “When I first walked in,” she reminiscences, “I covered my head, and spoke very little. Look at me now,” she grins mischievously, a picture of confidence in her sharp green trousers-and-shirt uniform, dangling car keys and bursting with boastful stories about brushes with traffic policemen and male drivers.